@rawpowah wrote: Adam is working non-stop. I hope he has time to prepare for IX. As for the mystery FoD episode, I'm thinking it's going to be Solo related because of the date. Probably featuring Qi'Ra. A Reylo episode would take all the attention away from Solo. 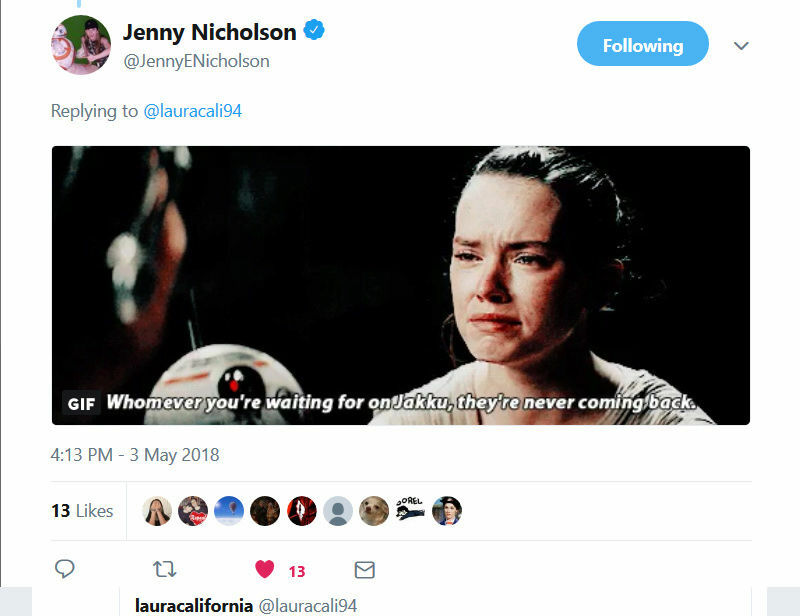 I agree, if there’s a surprise FOD episode released on May 25th, it’s likely Solo related. Maybe it’s just wishful thinking, but I believe it could be a Rey and Kylo one. After all, an episode featuring Kylo makes some sense as he’s Han’s son. @Kessel A Han and Chewie episode would definitely be kid friendly and I'd like it too, though aren't the FoD episodes mostly focused on female characters? But since it's a special one, they could make an exception idk. I think Chewie had an episode with the Porgs. 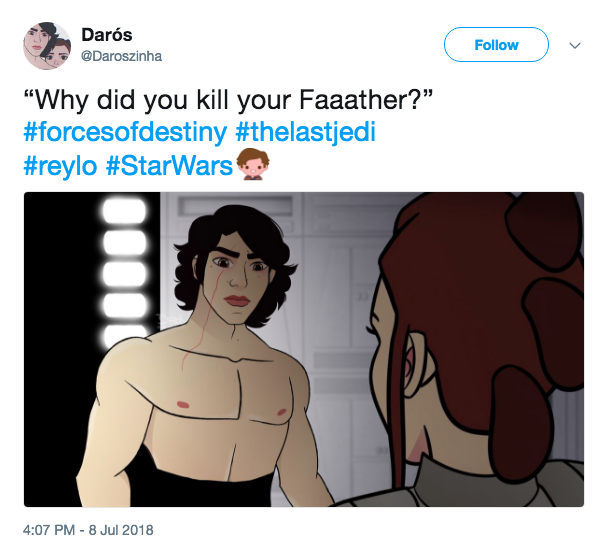 - Qi'ra? Unlikely, its a spoiler for Solo and most kids won't know who she is. - Han, Chewie - Possibly, but we're getting a whole movie with Han and Chewie, also there wouldn't be a female present - although we got a Luke and Yoda episode. - Han, Leia, Ben - This could be cute and might explain why its an exclusive and given the special treatment. - Reylo episode, well we are due a Reylo episode but why upload it on the same day as Solo? She actually makes some really good points. Also, when are we getting the Reylo episode? Don't tell me the only reason they added Kylo's doll was to get some sales. Qi'ra will be on Forces of Destiny. @Moonlight13 wrote: Qi'ra will be on Forces of Destiny. They really just released that Rey/Kylo set to push FoD sales then? Because it did work (the set was sold out for quite a while). I feel bitter lol. Unless it eventually gets released later. He really is. Here in the UK, Kylo is plastered all over the merch during SW season. When I went to our local Toys R' Us when it was closing down, I noticed the Kylo (and some of the Rey) stuff was selling but not so much with the other stuff. I wonder if Last Shot being near the top of the bestseller book list had anything to do with Baby Ben? Particularly as he was advertised quite a bit a few weeks beforehand. Heck, LF had that fake "birth announcement" advertisement that they did for Aftermath: Empire's End. I think they know that Kylo/Ben/Baby Ben is a big deal to fans. I wonder if you got together a focus group of small children if they'd at all be interested in watching an episode about Han Solo's high school girlfriend versus one about his son and Rey? Based on anecdotal comments from here, I'm guessing the kids would vote the latter. Also the Aftermath announcement was so over the top cute, that's another item on my list of reasons why "if they kill this character off after various elements playing up that he's their child and was co-written by a father and son, that's just beyond sadistic." Lol I saw this with #forcesofdestiny and i was like wth??? That overt?? I saw that too, while I was scrolling on Tumblr and had a mini heart attack for a second. That artwork looks gorgeous. I agree those images really do look like they could be real images for FOD! 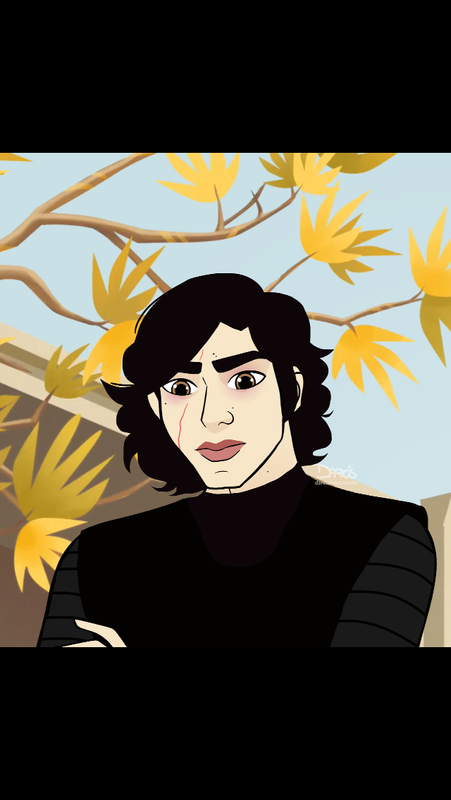 There’s so much talent in the Reylo fandom!